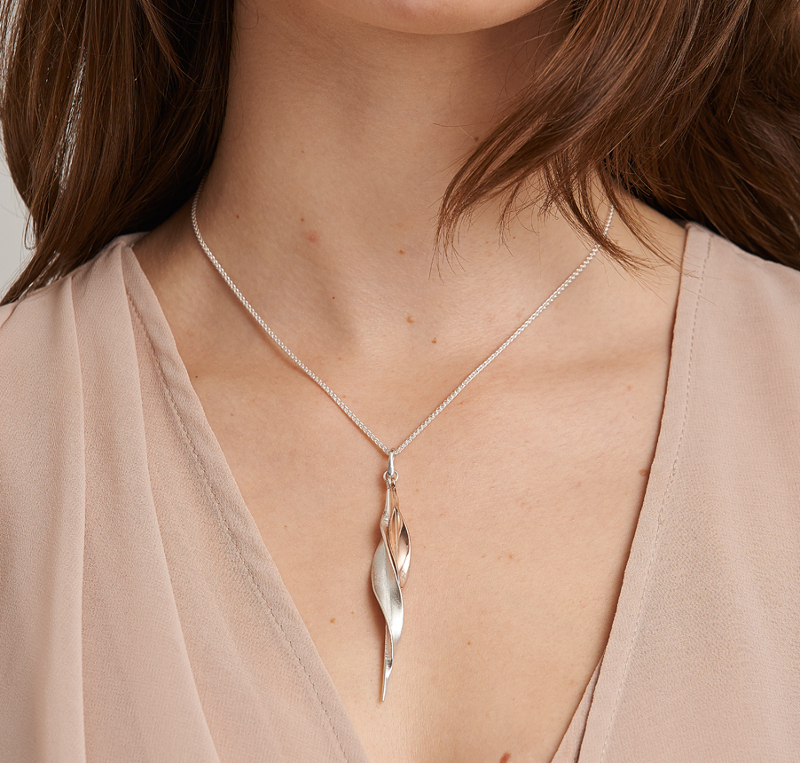 Long twisted leaf and short leaf pendant. 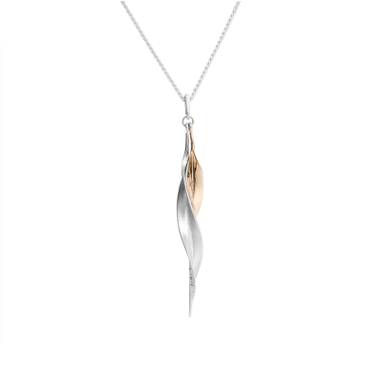 Available in solid silver, and solid silver with a 9ct gold leaf. Formed using traditional forging and anticlastic raising methods.